Thinking about renting accommodation in Cape Town for a few days? Whether you are looking for a stylish boutique hotel or you wish to rent a cozy cottage for a couple of days, there are plenty of superb accommodation options to choose from here in Cape Town. 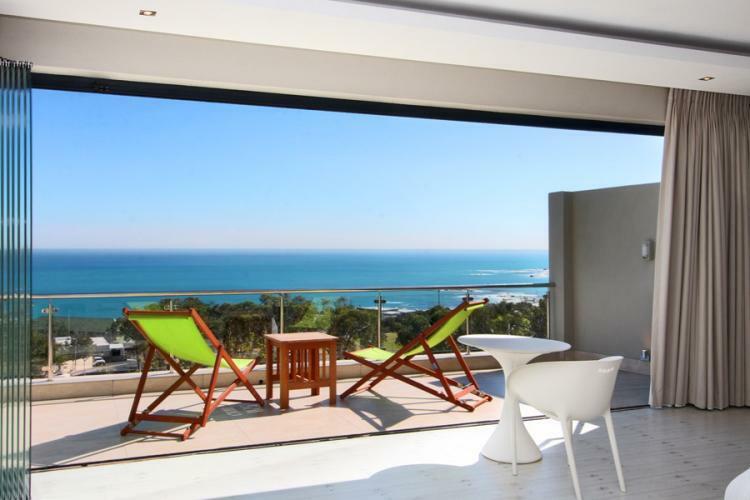 Check out our favorite accommodation to rent in South Africa’s Mother City. 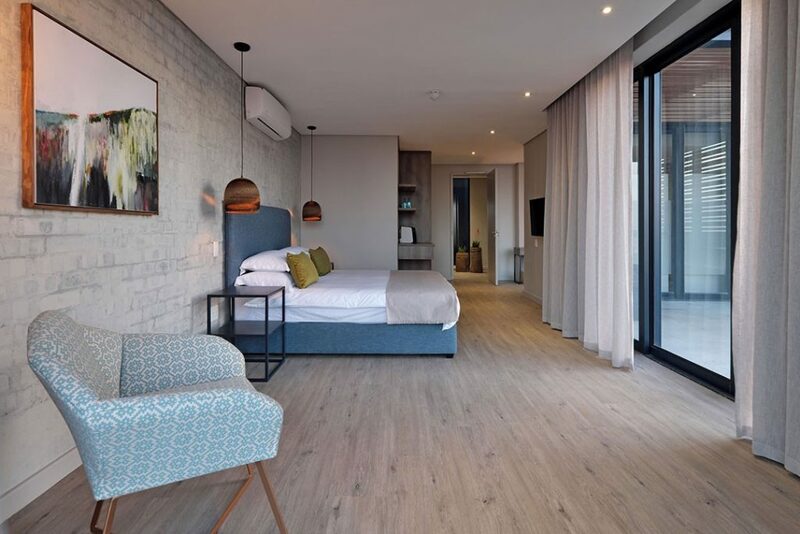 Located in the trendy neighborhood of Green Point, the Tree House Boutique Hotel is located within walking distance from many Cape Town attractions including the vibrant V&A Waterfront and the Cape Quarter. This fabulous hotel is an ideal place to spend a few days and explore the city’s iconic landmarks and monuments. From the mountain rooms which are located on the upper lever and boast amenities such as full en-suite bathrooms, free Wi-Fi, and super king size beds to the lovely sea view rooms that offer views of the shoreline, there is something for every traveler here at the Tree House Boutique Hotel. If you are looking for peaceful accommodation in Cape Town, Victorian Delight in Gardens seems like the most obvious choice. 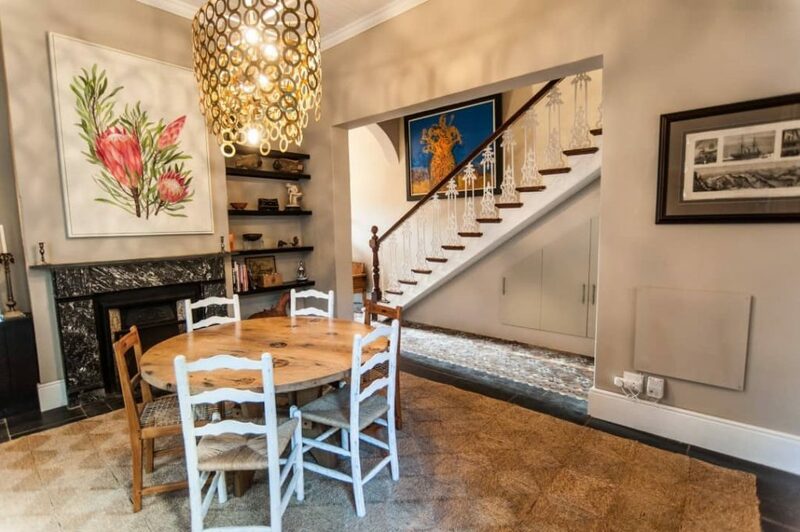 Situated in a lovely Victorian cottage from the 19th century close to the popular Kloof Street, this charming home boasts an inviting interior furnished with plush rugs, art, and wooden flooring. 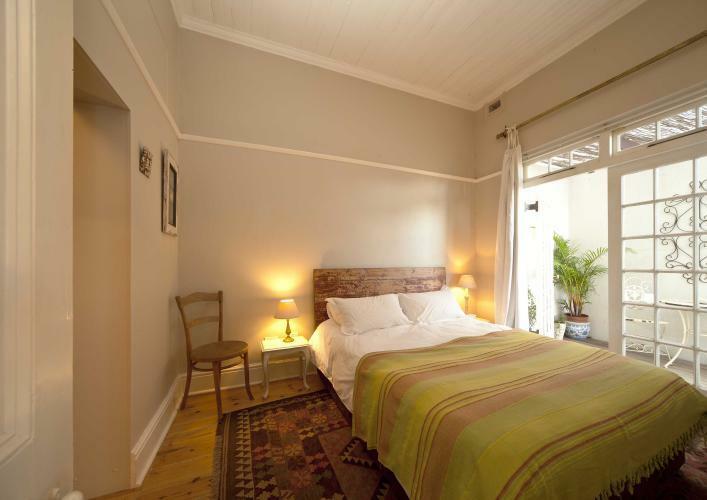 The main bedroom has a lovely private terrace, while the other bedroom offers magnificent views of Table Mountain. You can unwind at the lounge that features wood-burning fireplaces and has a large TV with satellite channels. In case you wish to cook, the on-site kitchen is fully equipped with all the necessary utensils. Kelvin Street Apartment is located near the trendy Kloof Street in City Bowl and offers a unique one-bedroom accommodation in Cape Town with a nice fireplace, wooden floors, and high ceilings. There is a washing machine in the cottage, as well as a galley kitchen equipped with a brand new dishwasher. One of the best things about this place is the amazing en-suite bathroom that boasts an impressive Victorian bath and a separate shower. You will find a small convenience store in the vicinity of the Kelvin Street Apartment and there is also a nice bakery close by. Attractions like Table Mountain and Cape Town beaches are just a short drive away from the property. For the ultimate weekend getaway with your BFF, spend a few nights at the lovely Camps Bay Hacienda. 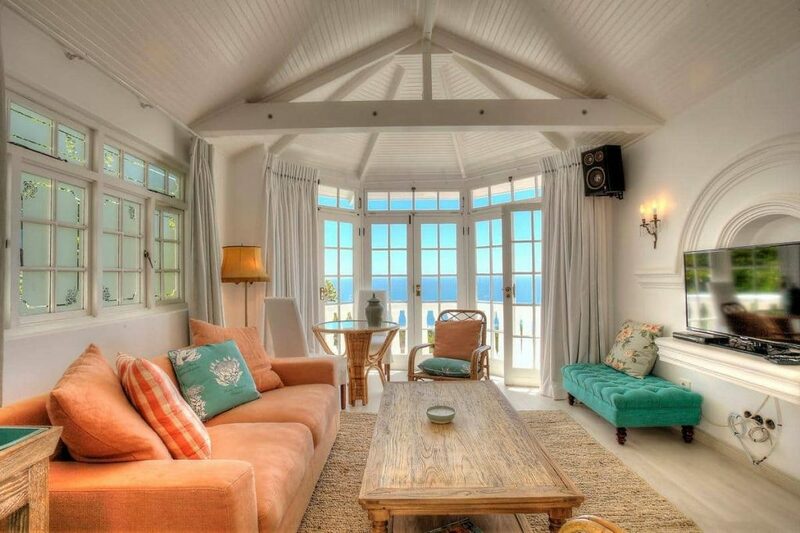 The villa is situated right above Camps Bay beach and is an ideal place to witness the amazing sunsets over the Atlantic. You can also bring your friends along since the villa has 3 queen size bedrooms and 3 kitchens. If the weather is nice, you can go for a dip in the swimming pool and enjoy the views of Table Mountain. Housekeeping is available 4 times a week. No BFF adventure is complete without a weekend spa treatment and Hout Bay’s Spa House. 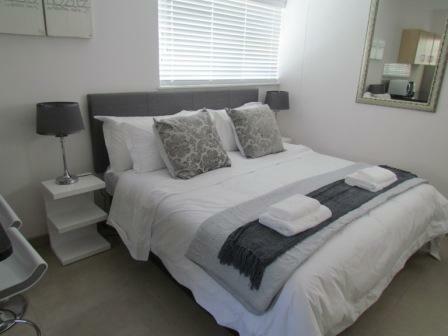 With its salt bath, sauna, steam and massage room, this place is one of the best accommodation options in Hout Bay. You can swim in the infinity edge pool, enjoy various treatments at on-site spa facilities, or watch TV in the fabulous 3-D TV area. The Spa House is a perfect place to stay in Cape Town if you are hoping to escape from all the hustle and bustle of the city center. With 3 suites and 32 individually designed rooms, the Queen Victoria Hotel is one of the best places to stay in the center of Cape Town. 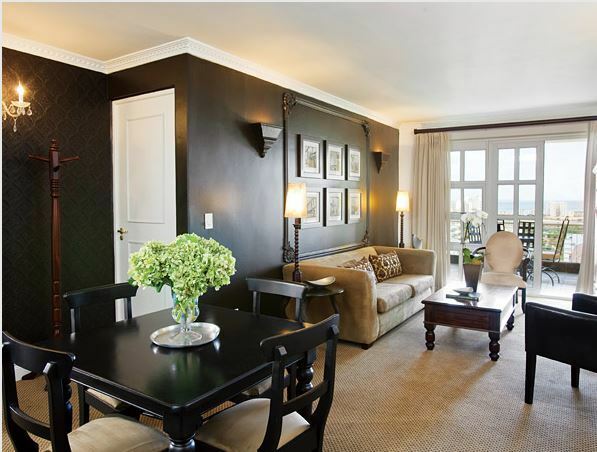 Most of the suites offer fabulous views of the Cape Town Harbour or Table Mountain and feature fully-stocked private minibars. As for the rooms, all of them come with high-tech amenities like downlighters, a flat-screen TV and free Wi-Fi connection. In case you and your best friend wish to work out, the hotel has state-of-the-art gym facilities with personal training. You can also relax at the pool, have lunch at the OYO Restaurant or Dash Restaurant, or visit the designer spa center for ultimate relaxation. 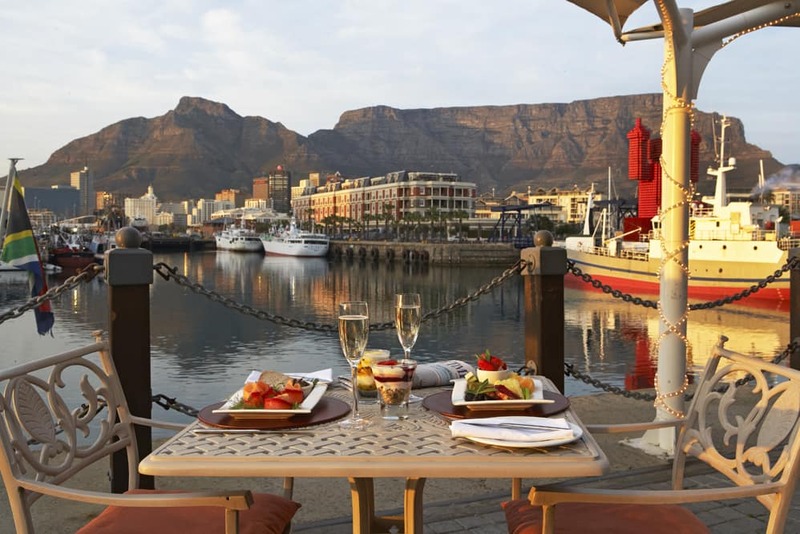 Conveniently located on the Cape’s Atlantic Seaboard, Romney Park All Suite Hotel and Spa is minutes away from some of the best beaches in the city and offers breathtaking views of Robben Island and the Atlantic Ocean. 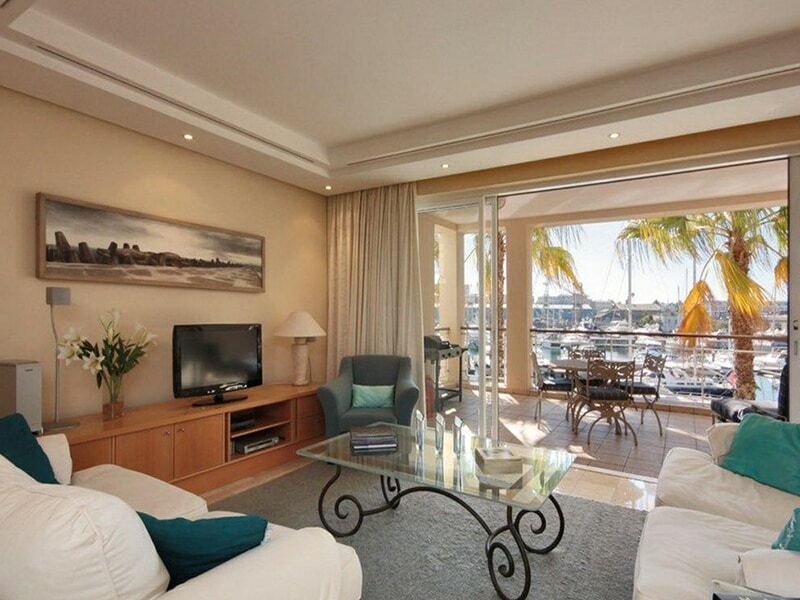 The vibrant V&A Waterfront is also just a short walk away from this fabulous property. The luxury suites here at Romney Park are just amazing. From the fully equipped kitchen to spacious living rooms and full en-suite bathrooms, these suites are all about elegance and comfort. Of course, there is a fabulous spa center on-site where the finest body treatments are available for all guests staying at the hotel. 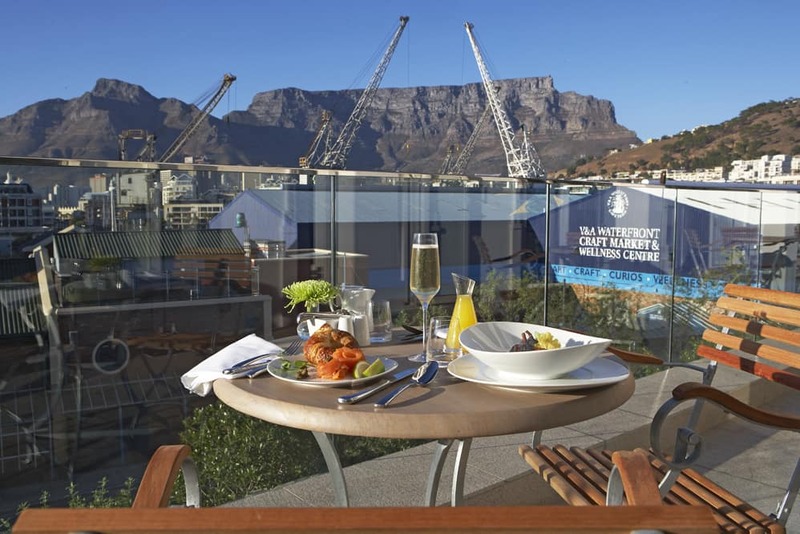 Offering self-catering apartments, the Marina Residential is a great place to stay for travelers who are looking for luxurious accommodation in Cape Town. These apartments are basically located on the water’s edge and offer spectacular views of the canal waterway or the yacht marina. Each unit is uniquely furnished and comes with a comfortable lounge and a fully-equipped kitchen. As for the facilities at this accommodation in Cape Town, there is the main pool, underground parking, and a small gymnasium. Sightseeing tours can be arranged with the staff at the reception. Located in Green Point, Hillside Heights offers a newly renovated studio apartment with an open plan kitchen and a nice lounge area. This spacious and fully furnished apartment boasts an open bedroom with an en-suite bathroom. If you wish to go for a swim there is a large pool at the lush garden in the back. The location of this apartment is excellent since it is close to the vibrant nightlife of De Waterkant. Sea Mount Studios in Camps Bay is located just a short drive from the center of Cape Town and V&A Waterfront and just a short walk from the beach here in Camps Bay. There are 3 spacious self-catering suites that have all the necessary amenities and facilities to make your stay enjoyable and comfortable. Whether you wish to stay at the sea view suite that has its own entrance, a large bedroom with a fabulous extra length king size bed, a separate bathroom or book the sunset suite that offers spectacular mountain and sea views and an open plan lounge and dining room, you won’t be disappointed either way. 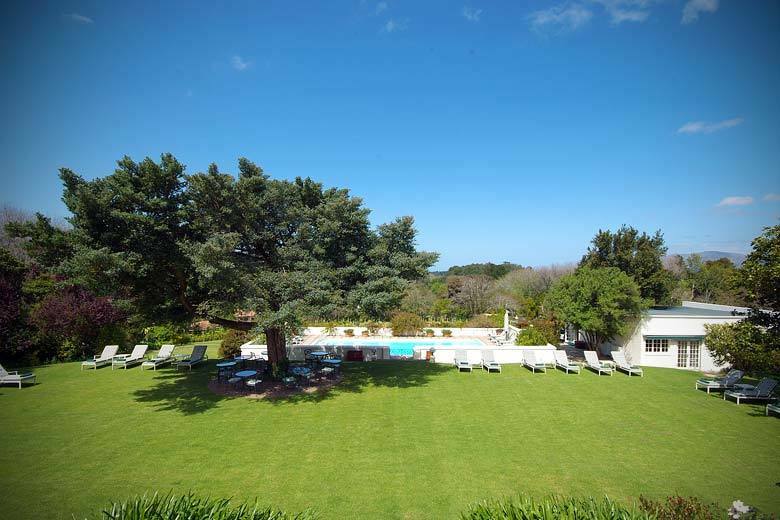 To get away from the busy center of Cape Town and experience some peace and quiet with your best friend, book a room at the lovely Cellars-Hohenort in the historical Constantia Valley. 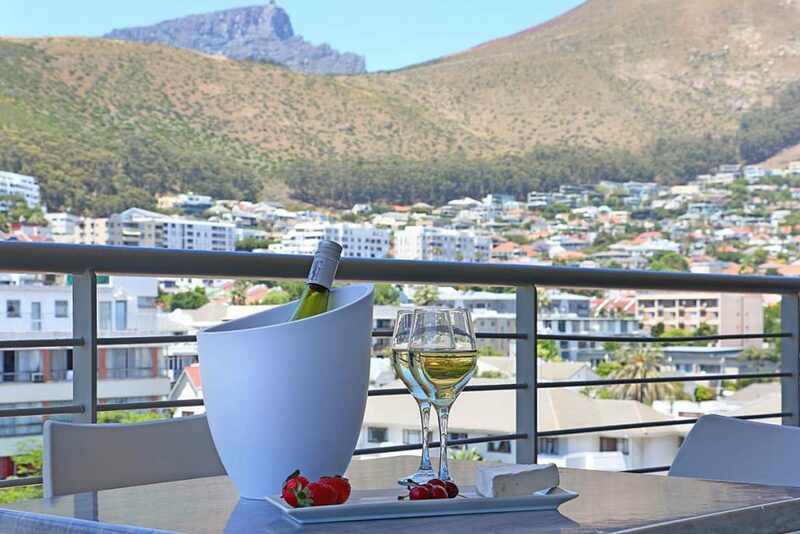 All suites and rooms offer breathtaking views of Table Mountain and there is a lovely garden outside where you can enjoy a refreshing drink or read a book. Foodies will be happy to hear that Cellars-Hohenort offers an incredible dining experience and you can have dinner at the Greenhouse restaurant and the Conservatory. 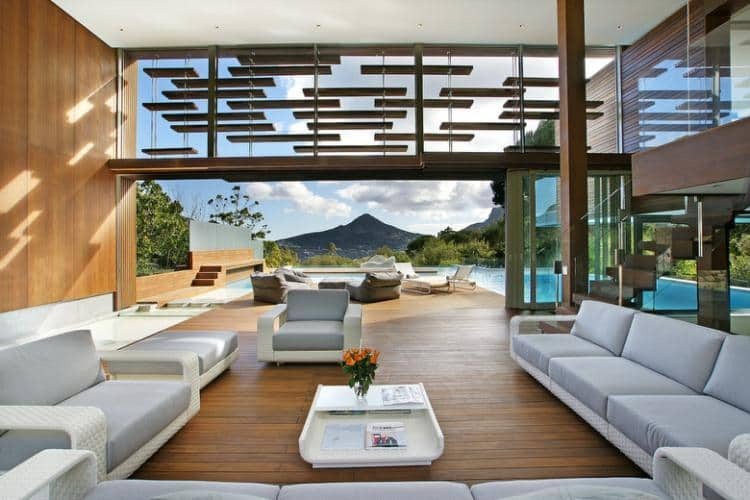 This is one of the best options for a getaway accommodation in Cape Town. 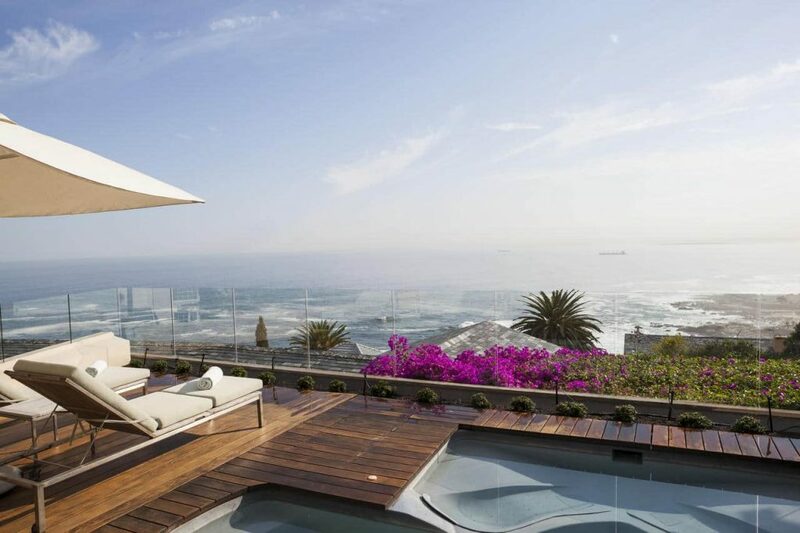 Bantry Bay’s Ellerman House is all about glamour and class. From the spectacular views of the Atlantic Ocean to the private infinity pools and the fabulous Ellerman House Spa that offers various beauty treatments and massages, this place has it all. An interesting fact is that this Cape Edwardian-style mansion used to be a private residence and you can still see the owner’s collection of South African art on the walls. The beaches in Clifton are within walking distance, while the chic V&A Waterfront is easily reachable by car. With about 20 fully-equipped suites, complimentary parking, and free Wi-Fi, Sea Point’s Verge Aparthotel is a great place to spend a couple of days with your best friend while visiting Cape Town. Thanks to its central location, this boutique hotel is just a short walk from the renowned V&A Waterfront and the beaches of Clifton. 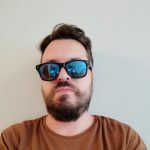 If you need to arrange a sightseeing tour or wish to organize a trip to the Cape Winelands, the friendly host is always more than happy to help out in any way possible. One of the most popular hotels in Cape Town, Victoria and Alfred Hotel is all about elegance and luxury. The hotel itself offers spacious en-suite rooms with king-sized beds, coffee/tea making facilities, free Wi-Fi, and a private bar. Some rooms offer magnificent views over Alfred Basin, while others overlook the lovely Piazza. Everyone says how the on-site staff here is friendly and that the interior of the hotel looks amazing. If you are looking for accommodation in Cape Town with a central location, Victoria and Alfred Hotel is the place to be. Still not sure where you want to stay? Browse our Curated Collection to view even more incredible choices for accommodation to rent with your BFF in Cape Town. This collection includes some of our most sought-after apartments and villas to rent across the city’s top destinations. 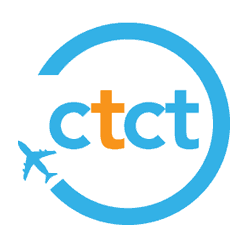 You can also contact us for assistance in finding the very finest selection of accommodation to rent and tours to enjoy in Cape Town.